As you probably know, the Oklahoma Human Rights Commission (OHRC) was abolished earlier this year. We have been wondering what would become of the annual Human Rights Day celebration that is traditionally held at the State Capitol. We’re happy to report that a new non-partisan group, the Oklahoma Universal Human Rights Alliance, has stepped in to pick up this aspect of the work of the old OHRC. (In fact, the new Human Rights Alliance includes several people who once served as commissioners of the old OHRC). Please RSVP if you plan on attending so we can make sure we have enough food for all attendees. 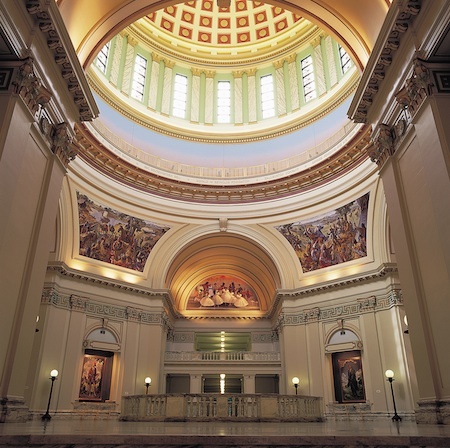 … As part of the Human Rights Day program, the OK Universal Human Rights Alliance will honor an individual who has contributed to human rights in our state. The nominee will be an individual who has served the cause of Human and/or Civil Rights. If you’re a member or friend of the United Nations Association, we encourage you to attend the ceremony on Monday, December 10th. (Be sure to email Wilfredo so that he will know you’re coming). You know about “Agenda 21” — the outcome document from the 1992 UN Conference on Environment and Development. 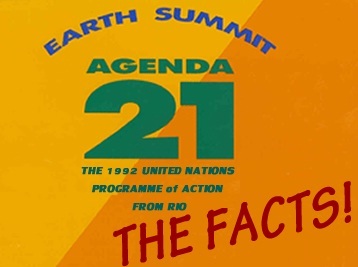 In its day, Agenda 21 was a cutting edge achievement. It still is. It was a clarion call for action at international, national, regional and local levels. The non-binding action plan outlined a comprehensive series of steps that could be taken to protect the Earth’s natural environment and implement strategies for the sustainable development of human communities. It is remarkable to think of the changes our world has seen since 1992. 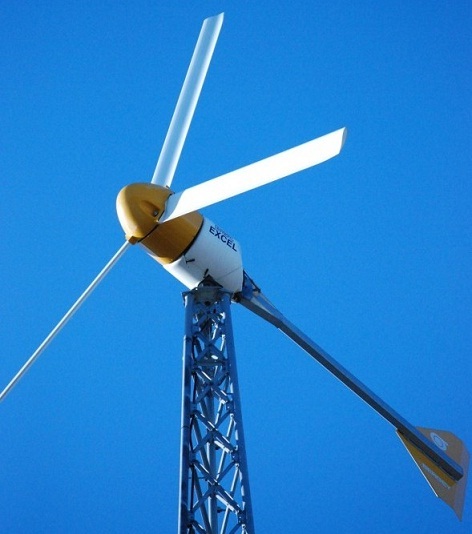 In terms of environmental protection, we have invested in new forms of sustainable energy. Wind turbines have popped up across our landscape. Hybrid automobiles have been brought into the marketplace. (The first Prius went on sale in Japan in 1997). In terms of disparities related to poverty, hunger, illness, etc., the nations of the world made a bold commitment to address these problems when the Millennium Development Goals were adopted at the UN’s Millennium Summit in 2000. As a result, measurable progress has been made to improve the health of people around the world and to improve the status of people threatened by extreme poverty. In the years since 1992, Agenda 21 has been reviewed and modified at least three times at various UN-sponsored meetings and conferences. For example, in 1997, the UN General Assembly held a special session to appraise the status of Agenda 21. In 2002, the World Summit on Sustainable Development (Earth Summit 2002) convened in Johannesburg, South Africa. The nations of the world affirmed the UN commitment to “full implementation” of Agenda 21, alongside achievement of the Millennium Development Goals and other international agreements. Earlier this year, the United Nations Conference on Sustainable Development met under the banner, “Rio + 20.” It was the UN’s largest and most inclusive Earth Summit so far. At the end of the conference, businesses, governments, civil society and multilateral development banks announced hundreds of voluntary commitments to shape a more sustainable future for the benefit of the planet and its people. recognizing the importance of voluntary commitments on sustainable development. You can find a copy of the “The Future We Want” here … PDF. We think it is important for Oklahomans to understand the significance of the various sustainable development conferences that have been convened by the United Nations during the last two decades. We think people should have a general understanding that the global community is moving forward to address the most difficult development issues of our times. Progress is being made, and the UN is being responsive to the expressed needs of businesses, governments, and civil society. As you know, a small group of Anti-UN Activists have emerged to oppose the world’s efforts to create a sustainable future. Lately, they have been alleging — without any evidence — that Agenda 21 is designed to limit or destroy property rights and to take away the due process rights that all of us enjoy. It is an implicit statement in support of the right of individuals to own property — and for women, in particular, to have equal access to property ownership. Equal access to economic resources is an important goal for the sustainable future we seek. If you read or hear any zany-sounding rumors alleging a UN effort to eliminate property rights, please be sure to let us know. We’ll do our best to counter the craziness. We had a very good UN Day Luncheon last month. The food was good. Our audience seemed to appreciate the panel discussion about the crisis in Syria. It was great to see such a diverse group of people — all with an interest in the values and good work of the United Nations. One of the missing elements of our Luncheon was the annual reading of the UN Day Proclamation. 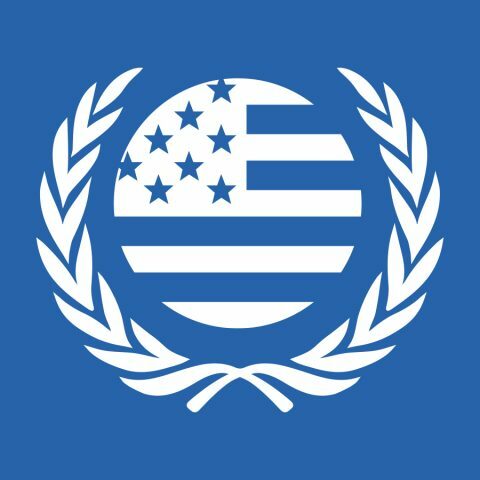 Traditionally, Oklahoma Governors have signed an official proclamation recognizing United Nations Day. Last year, we had a group of people read portions of the proclamation, and it was a very positive highlight of our program. This year, though, Gov. Fallin declined to sign a UN Day Proclamation. We reported about this in an earlier blog post. Well, sometimes, controversy seems to be part of the landscape. And, even when one tries to avoid it, it jumps into your path nevertheless. Consider what happened this year when Gov. Fallin made a deliberate decision not to sign the UN Day Proclamation. Was she greeted by glad shouts and cheers of joy by the far right-wing chorus? … which also uses accusations of “un-American” and “ignorant” to describe our Governor. Gov. Fallin is our friend. We think she made a mistake when she failed to issue a UN Day Proclamation this year. But, we would never resort to ad hominem attacks to make our case. We like to think we’re too classy for that. And, the Governor deserves more respect. We always hope that Gov. Fallin will use the power of her office to govern with wisdom. We don’t think she should ever be swayed by political bullies. By the way, if you’d like to see a list of Executive Proclamations that have been signed by Gov. 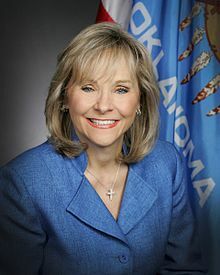 Fallin this year, they are published on the website of the Oklahoma Secretary of State … here … where you can even search the Proclamations signed by previous governors, by year and topic. Pretty neat, huh?